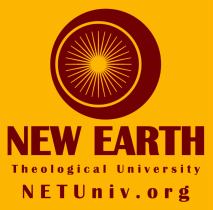 New Earth Theological University (NETU) is an online academic community bridge to interspiritual new-paradigm learning for unparalleled leadership, vocation, teaching, ministry and service to all of humanity. If you are seeking an affordable way to receive inspiring, quality higher education from an academic community of conscious, brilliant and supportive professors and instructors… your search is over. We are a devoted consortium of women and men transcending old learning structures to a new pedagogy (optimized learning model) which creatively empowers students. Let us face the pure truth: traditional education systems are broken, boring and way too expensive. Together, we help create a better world rooted in new ways of being - consider applying today.